With the consistent economic growth, Asia has become the strong market for a beloved brand of scooters, Vespa. The Italian brand has been investing heavily on the manufacturing and sale facilities in the region including building factories, upgrading and expanding showrooms. Vespa Galleria is one of the first pilot projects of its type in the region. 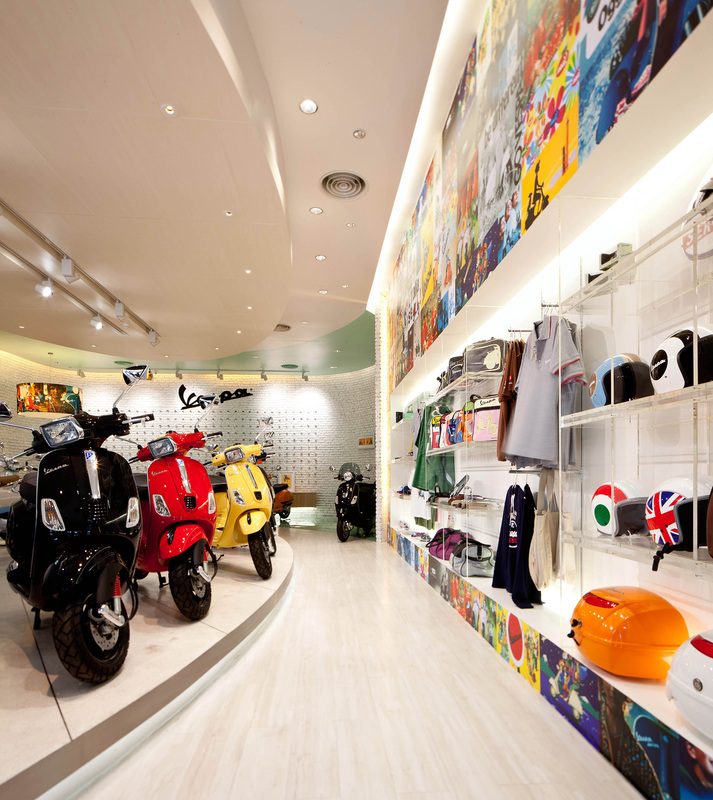 Being more than just showroom and sales space, Vespa Galleria includes scooter showroom, merchandise shop, scooter service and small exhibition space into one. For Bangkok branch, the given concept is tweaked away from being a little “corporate” to a more playful space by using curved brick wall mixing with graphics of different generation of Vespa advertisement posters. Entering through the framed display box, the main sales space remains bright white as requested from the brand. The new models of scooters are main display in radial on the ellipse stand. Deeper inside, the space is curved continuously into the “Vespa Green” exhibition showing collection of old and special edition of Vespa scooters. For us, designer, “Vespa”, with its long history, is more than just a scooter. It is a culture, a life style. We try to add different dimension of Vespa into the project. Behind the sales counter, the bricked wall becomes the scooter walls. Hundreds of tiny models of Vespa are sticked on to it creating the back drop for the full size one in front. Above the counter, we install the big cylinder lamp custom made from the blown up vintage Vespa advertisement. 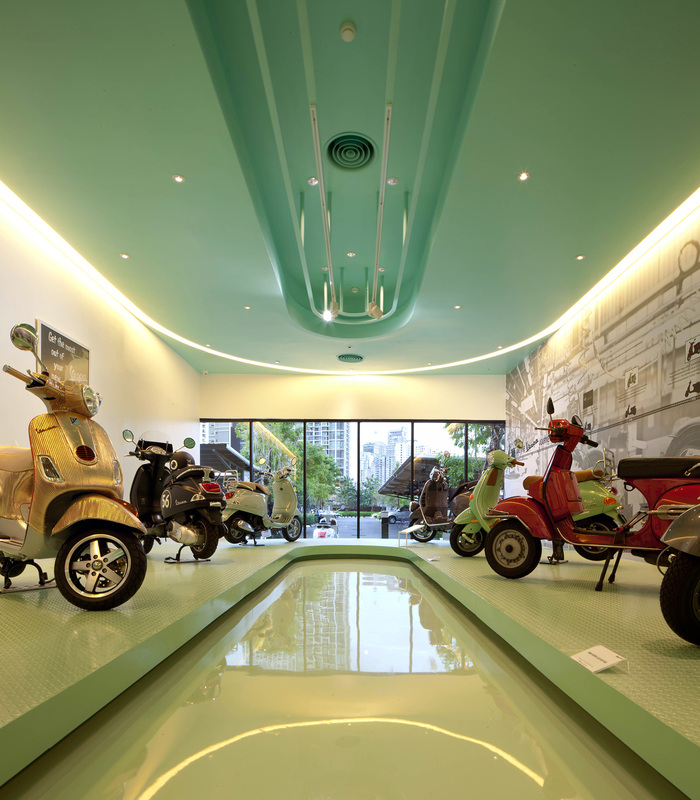 This entry was posted in 2013_Vespa Gallery and tagged supermachine studio, vespa bangkok, vespa showroom, vespa thailand. Bookmark the permalink.